Growing up, my dad loved a good laugh. We had knock-knock jokes, games, and pranks aplenty in the house. 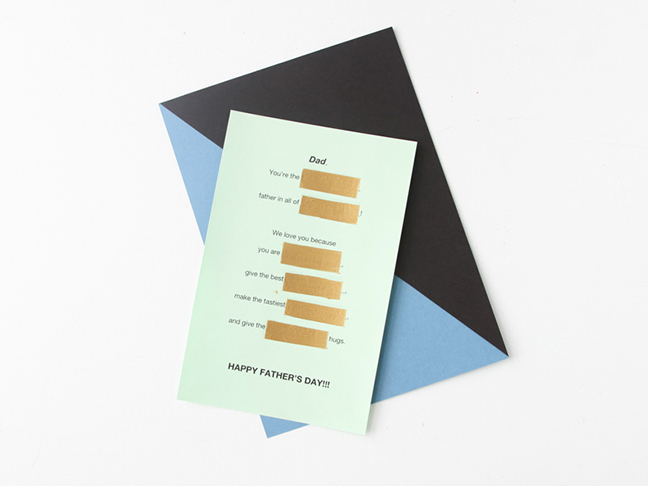 I loved to make funny and silly cards for Father’s Day because it always made my dad smile. Lately my nephew is obsessed with Mad Libs, and I teamed up with him to make a Father’s Day card for my dad that was reminiscent of the cards I used to make him. 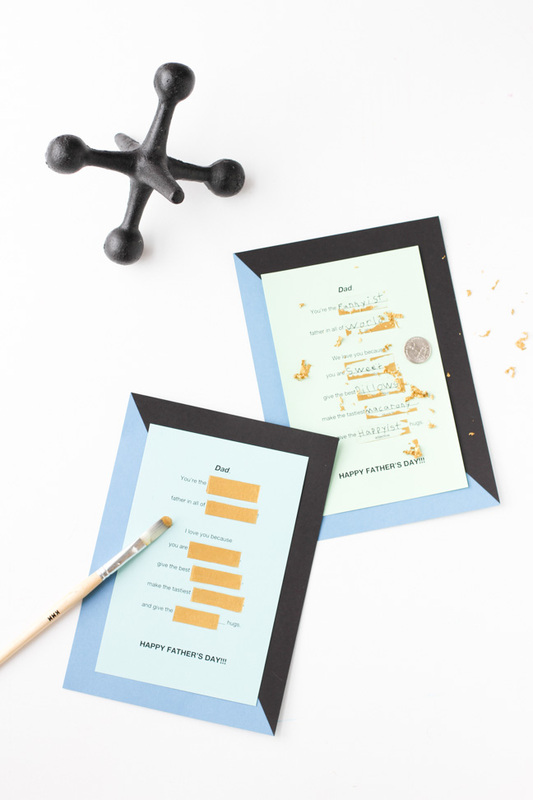 This Mad Libs style scratch-off Father’s Day card, paired with your favorite kids’ responses, is way better than an ordinary card. 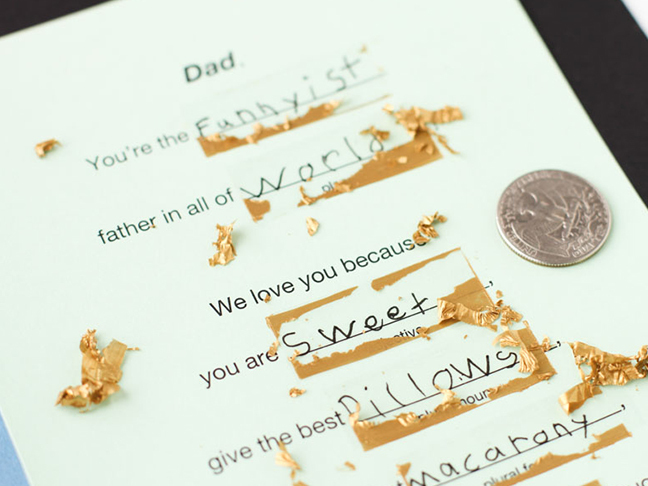 It’s interactive, and dad will laugh his way through the scratch off process. Scratch off paint isn’t some specialty paint you need to buy. If you have acrylic paint lying around, combining it with a bit of soap magically transforms it into lottery-ticket style scratch off paint. Step 1: To get started, we printed a Mad Libs style card on the card stock, and my nephew provided the nouns, verbs, and adjectives. Make up your own message and have fun with it! 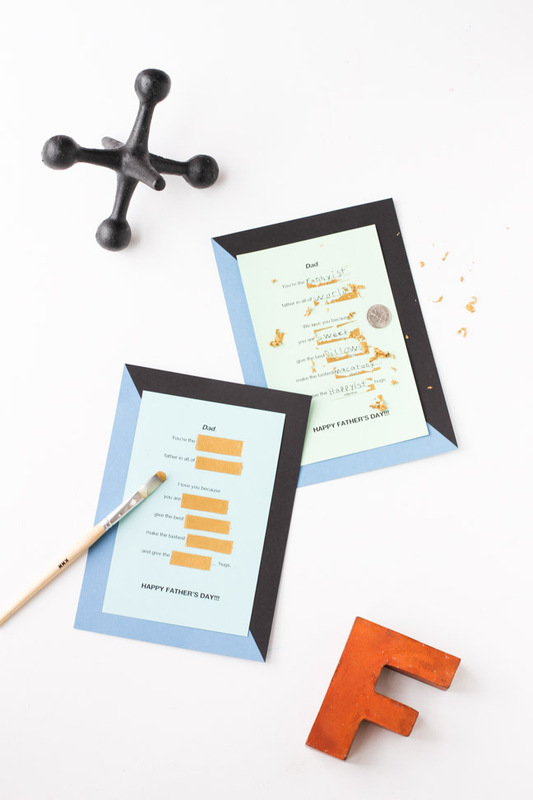 Just be sure to omit key nouns, adjectives, and adverbs that allow your kids) to participate in the fun of personalizing this card. 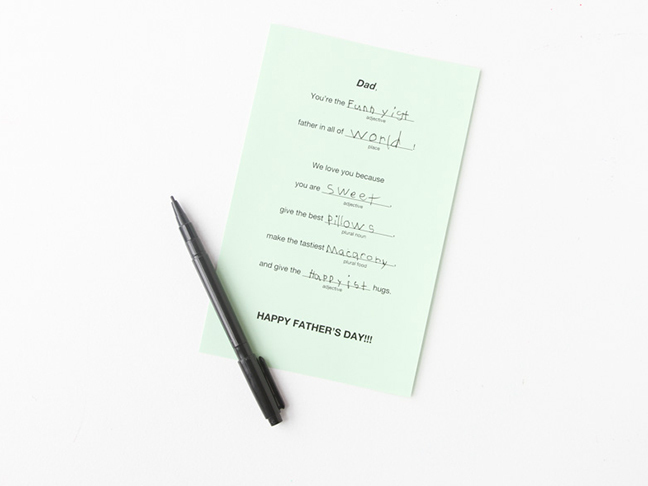 You can even print the same card twice and have your kids fill them out individually and present multiple cards to dad. Step 2: Once the card is filled in, start by taping over the written words with clear tape. This tape allows the paint to later be scratched off cleanly. After the words are all covered with clear tape, then use washi tape or masking tape to mask around the words. 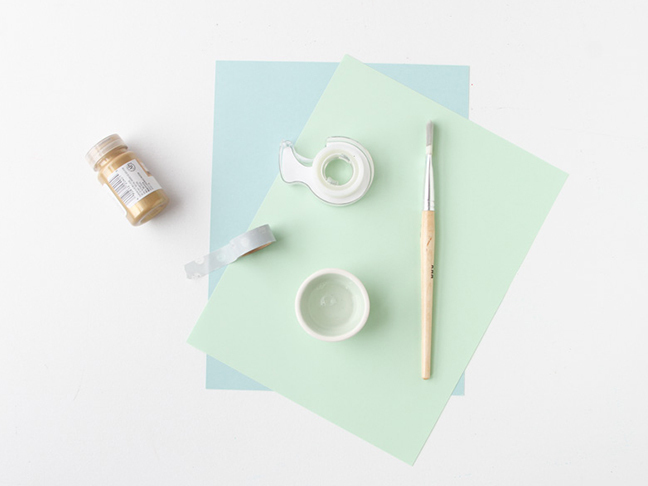 Alternatively, you can skip the masking step if you have a very steady painting hand. Step 3: Now, turn regular paint into scratch-off paint by combining four parts of paint to one part of dish soap. For one card, just a bit of paint and two drops of dish soap did the trick. I used gold paint for my card, but any color of acrylic paint will work. 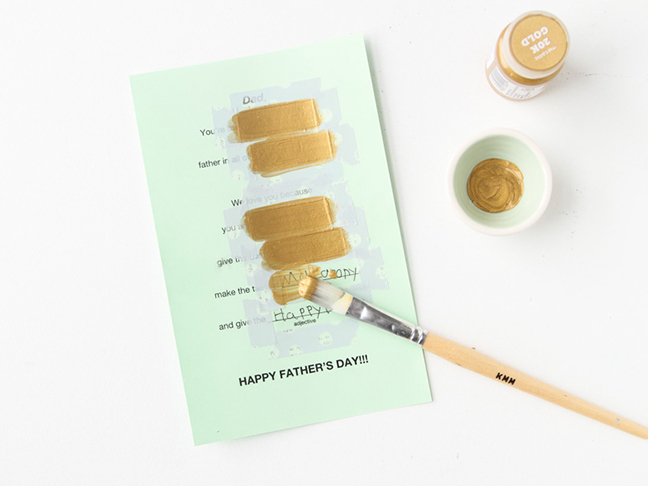 With the paint-and-soap solution, paint over the taped words. Repeat this step until you reach the desired opacity, letting the paint dry between layers. Step 4: For the final step, remove the washi or masking tape. Do this slowly and carefully as the edges of the paint can pull up if the paint is too thick. If you find this happening, you may need to run an X-Acto knife along the edges of the masked areas. Feel free to layer this card on additional card stock and decorate to further personalize this card.